Tools designed with the Administrator in mind. 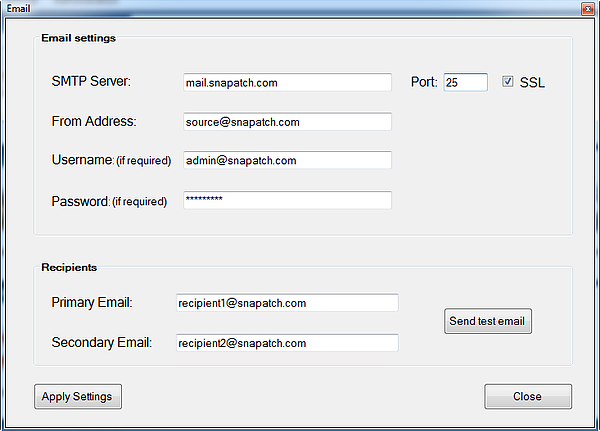 The SnaPatch main window provides a launch pad for every aspect of the application. From here you can access all the actions, settings and administration properties. The dashboard provides you with an up to the minute view so you know exactly what is happening. It also shows a list of previous tasks in the history pane. Along the bottom you will find a constantly evolving chart where you can instantly view the success rates of snapshots and patching. Also, the number of currently active jobs and scheduled jobs is also provided. 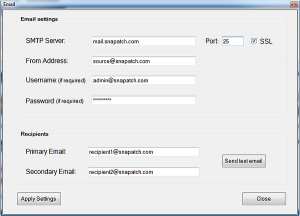 The SnaPatch window is where you can see all your collections and servers. 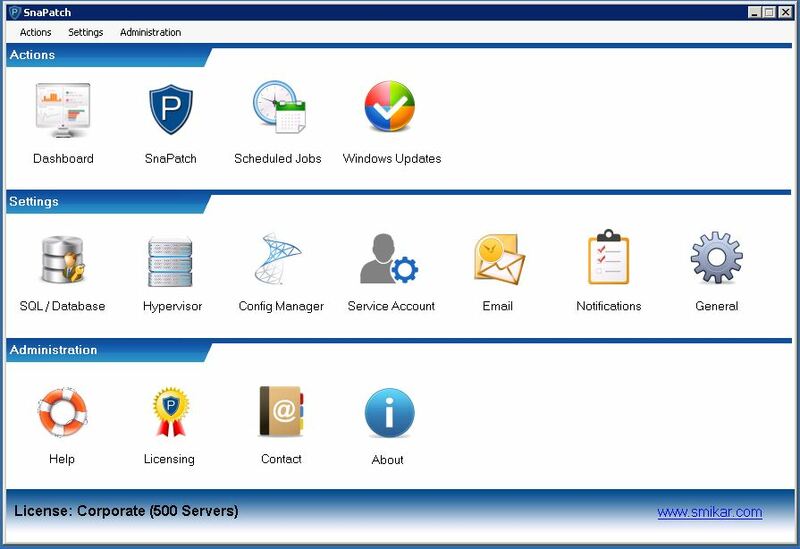 From here you can select servers to patch, browse and find servers and collections, and view the patching compliance state of every machine. 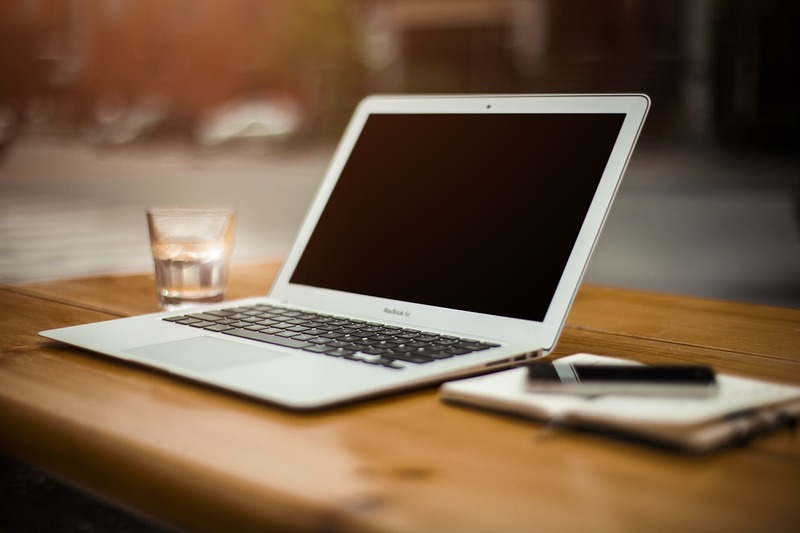 The scheduled jobs window provides a list of scheduled and previously executed jobs. From here you can reschedule, start, stop, abort and delete jobs. You can also search for a computer to find the scheduled job it is part of. 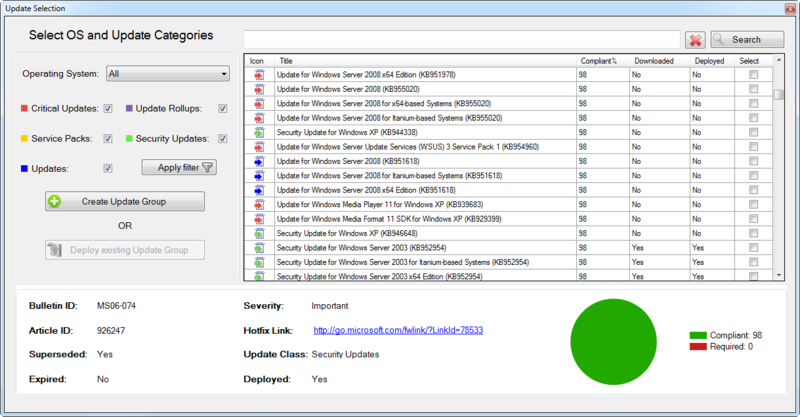 You may also filter the updates by selecting or deselecting any update class as well as filter against operating system. Details related to each update is also provided along the bottom, including its compliance state. 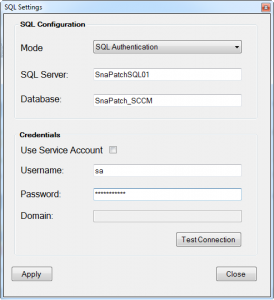 The SQL Database window requires you to provide the details to connect to the SCCM database. 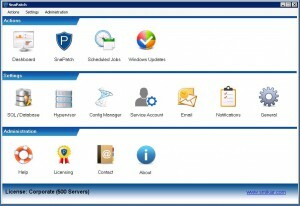 The Hypervisor window requires you to provide the details to connect to the hypervisor management servers. 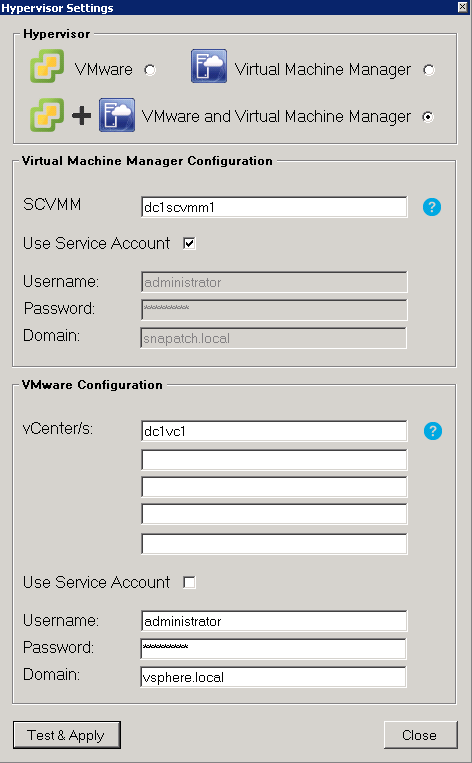 You may specify up to 5 VMWare vCenter servers and / or 1 Microsoft System Centre Virtual Machine Manager (SCVMM) Server. 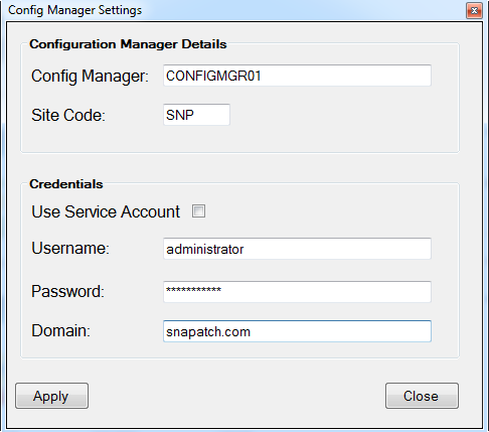 The config manager window requires you to provide the details to connect to the SCCM server and site. 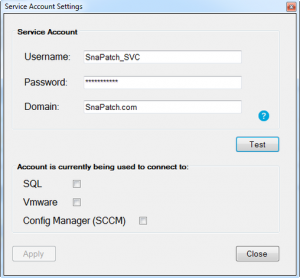 The service account window requires you to provide the details of a domain user account. 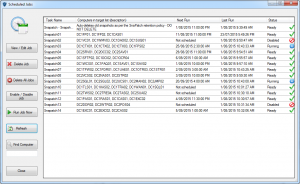 This account is used to interrogate servers to retrieve a list of installed patches on target machines. 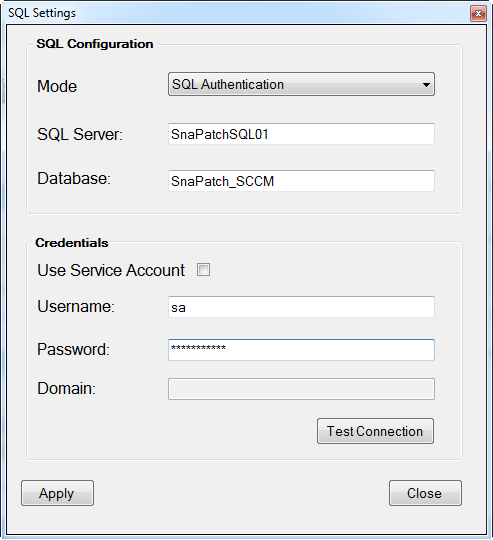 It may also be used to connect to SQL, VMware and Config Manager. The Email window is where you configure your email connection settings. These settings are used to send out notifications. 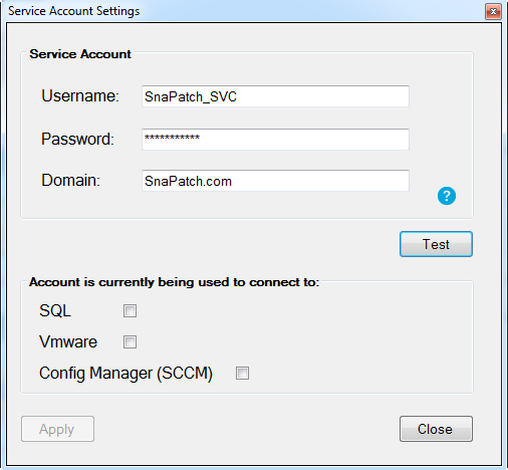 The general settings window allows you to choose whether or not to include non-server OS devices to be included in the scan and therefore visible within the main SnaPatch window, it also lets you specify whether you want to include VM memory as part of the snapshot and how long a snapshot is allowed to take before it is deemed to have failed. 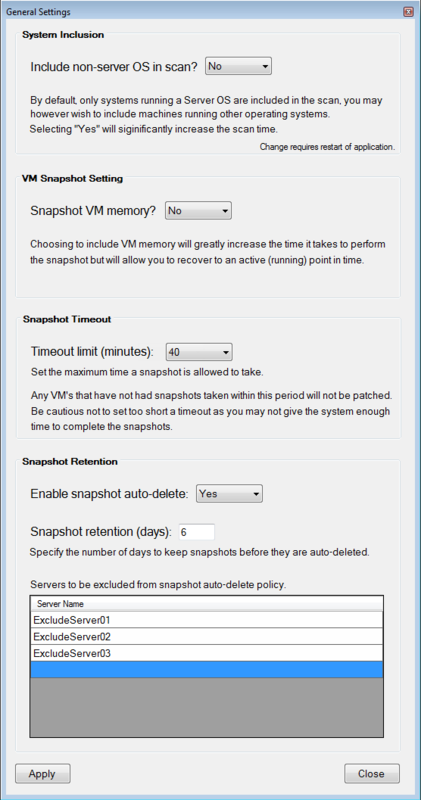 You may also enable or disable the “auto snapshot delete” policy and configure how long snapshots should be retained before they are deleted. Excluding servers from this policy is also configured from within this window.